Emma is back in action, this time as the nanny for a prominent Hollywood couple. But this household is anything but tidy. 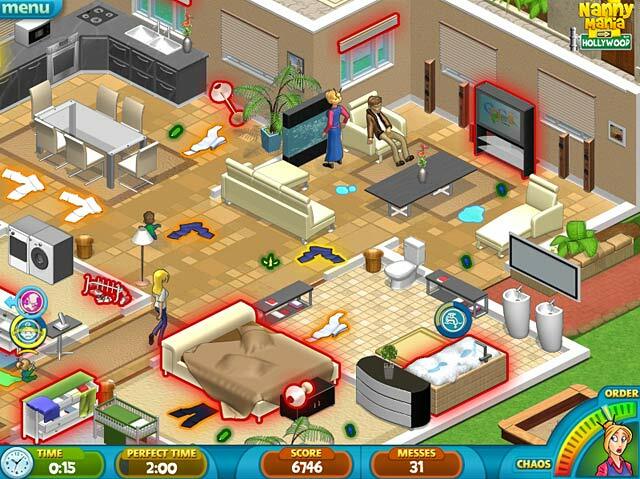 It`s a mad-dash to clean up the mansion before the parents come home. You`ll have a baby to watch, kids to clean up after, clothes to launder, and a whole living room, bedroom, kitchen and playroom to take care of. Purchase deluxe cleaning supplies and prove to that household what a real nanny can do! 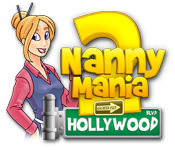 Nanny Mania 2 is rated 3.5 out of 5 by 26. Rated 5 out of 5 by chaynon from This game never gets old. I love the seemingly never ending tasks and the ever growing family. Great game. Rated 5 out of 5 by mamoyer from THE BEST GAME EVER!!! This game is awsome and i really enjoyed it. It is a chalange but if your like me youll love this chalange definently try it for your self.thanck you for reading my review. Rated 5 out of 5 by Diakara97 from Absolutely EXCELLENT game!! I think that I have never play such an excellent game before! !...It was a fantastic expirience and I have add it to my favorities games!! 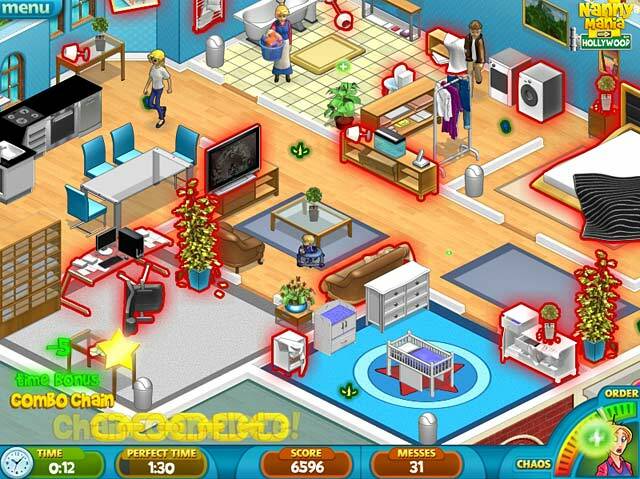 You will sure enjoy it too, if you like time managment and enjoyable games! JUST HAVE FUN!! Rated 5 out of 5 by impulsive1 from Fun while teaching you to pay attention to details This is not a game to try and multitask with. If you can't pay attention 100% you will mess up and not get a perfect score. Good challenge and so true to real life as far as messy children go. Rated 4 out of 5 by pikachu2010 from Nanny Mania 2 Review In this sequel of Nanny Mania, Emma the nanny goes on vacation.......until she sees a headline on the newspaper. Sofia, Emma's client is a very troubled mother. She only really thinks of herself. I loved watching the children growing up and the new additions, the storyline was great. There wasn't really a challenge with the levels and I never failed once. But this is still a great game! 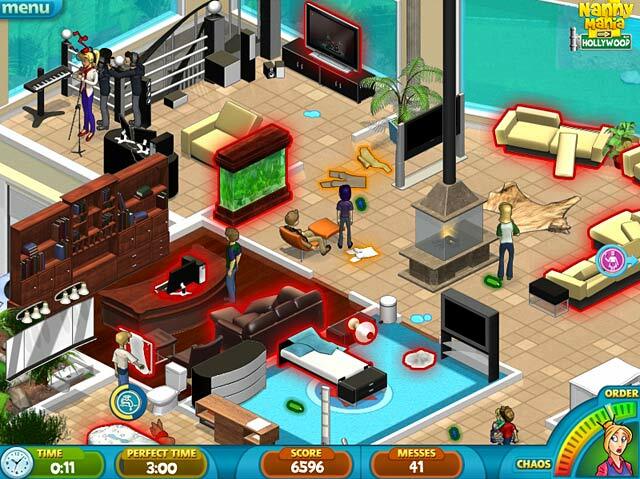 Rated 4 out of 5 by LoraleiLee76 from EXCELLENT Game! Really fun and fast paced. You move through the game quite quickly which stems the repetitiveness somewhat. Be warned though - it can make you a bit dizzy as you go through the levels as you have to spin around the rooms quite a lot! !